Get Ready Central Florida, This Chicago grown musician will be making a stop in Orlando this October! He is currently preparing to tour with his new record “Let It Grow“, mirroring his amazing musical versatility while maintaing his (obvious) love for Reggae, Dub and Classical Roots Music. This style swinging artist will be performing live at Will’s Pub on October, 15th For ‘Southern Fried Sunday’s’ beginging at 1pm. Tickets are available through TicketFly! Virtues, is the anticipated follow-up to the band`s album ‘Poor & Happy‘ in 2014. This progressive rock band has completely transformed their sound in the last few years establishing a firm Florida fan base and a sound that reflects the style’s of Tame Impala and the force of RadioHead. In 2015 the band decided to take an adventurous approach to their new album, holding nothing back and not settling in one genre, so moving from their indie/folk sound to a more progressive psychedelic rock. The trio’s new record Virtues will be released on August, 15th! Danny is a singer/songwriter/violinist creating an interestingly raw and soulful musical style. His project has a nearly mesmerizing blend of melodies and mixed with original lyrics. If you had to define your sound, how would you describe it? I would describe it as eclectic but overall, very soulful. My sound is sometimes soul, sometimes blues rock, sometimes future soul, sometimes folk, and I always try to write insightful, poetic lyrics. I’ve been performing as lead singer in one band or another since age 20 when I was a student at Bradley University in Peoria, IL. But I’ve played violin classically since age 5. How is what you’re doing (this project) different from so many artists popping up today? My lyrics are deeper. And I take my role as an artist seriously. It’s not about fame and attention for me, or not how you would think – it’s about using attention to create connection, community, and emotional reaction and it’s about conveying truth. It’s about making the best music I can because I know I can make great music. It is about me in a way because this is something I need to do to feel like myself but at the same time it’s not at all about me. Where do you find inspiration for your melodies/songs? For me, inspiration can live anywhere. It’s hard to say what exactly is my go-to. Using meditation and exercise, I create a mental atmosphere for myself where I can process ideas and where ideas spring up from my mind naturally. Travel is big too. Or, I may find myself hearing a song by someone else and then I’ll challenge myself to achieve just one characteristic that I’ve picked up on in that song. Other mediums of art, especially literature and painting, inspire me as well. What different instruments do you play on your current EP? This Spring and through the Summer and Fall, I’m in the process of releasing a mix of singles that belong to two different projects. I do blues indie rock and I do future soul/neo soul. Dont forget to check out his performance when he stops in Central Florida on April, 28th at Uncle Lou’s Entertainment Hall and May 29th at Wills Pub! This California Native has been playing since the age of 14 and is now releasing his first solo project since his band Nylon Lyonn went their separate ways. Riley Flood is a cool combination of indie/ Contemporary rock with a good dose of psychedelic rock influences. Before diving into this solo project Riley played many different musical rolls including vocals, guitar, bass, and keys, all while developing his songwriting style , which prepared him to make this new solo EP ‘Phases‘. Riley is definitely playing with the old ways of Psychedelic Rock and blending it nicely with a modern indie vibe. I highly recommend giving this muti-talented artist a listen. 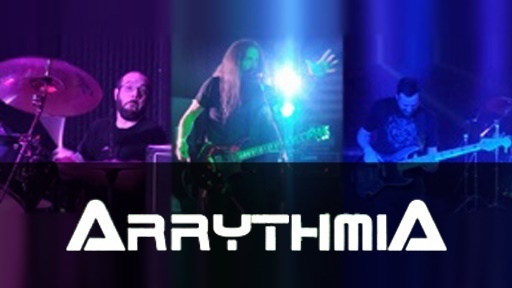 ArrythmiA began as one man’s idea. With the addition of a bassist/keyboardist and drummer, the project has evolved into what it is today: A progressive three-piece rock band, featuring synthetic elements and multimedia samples. ArrythmiA’s music is an exciting mix of aggressive political rants, thematic alien encounters, driving commentary on society, and spacey paranoid introspection. We have an in-your-face, multimedia show, that we continually take to the next level. They are currently in the process of recording a new CD and expect to have a release date within the next few months. Stay tuned for details on the CD release party and other upcoming shows. One wedding, four friends and a phone call is what it took to bring together the Members of Electric Shrine. In early 2016, Chris Angleberger (formerly of Tranquilizer) on guitars, his wife Bhren – vocals, and Josh Henry (formerly of Familiar Sin and Confused Little Girl) on drums, were writing and putting together what would become the foundation for the band. Josh called upon his friend Stone, a former bass player in Familiar Sin, to come to the rehearsal room and see how things would fit. After a few months of woodshedding and finding their groove, Electric Shrine was ready to get in front of a crowd and bring rock and roll back to Central Florida. 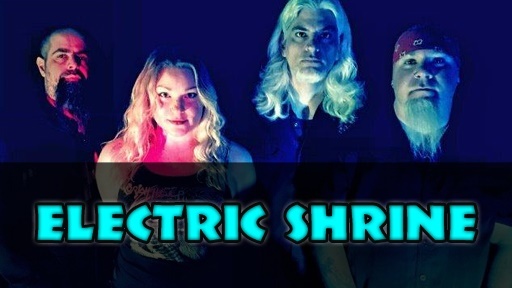 They emphatically state that Electric Shrine is NOT a metal Band, NOT a hard rock band, just a good old fashioned ROCK AND ROLL band poised and ready to take every stage by storm. The band’s primary mission is to give their listeners a good time. If you are a fan of loud guitars, driving bass, pounding drums and UN-compromising vocals, you will become a fan of Electric Shrine. Aside from the Sanford Music Festival, the band has not booked many show dates for the year yet. They are focused on entering the studio early in 2017, and add live shows later in the year. K started singing around the age of 3. She performed in talent shows and plays all throughout grade school. But, it wasn’t until she moved to Orlando to attend college that she decided to really begin pursuing music professionally. 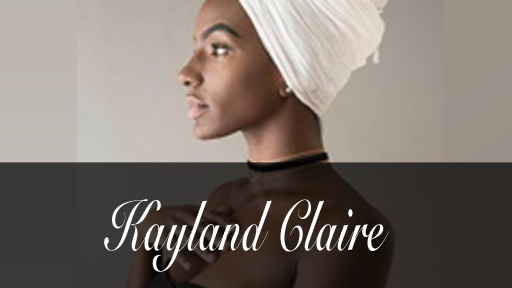 K says that for these past two years, she has been discovering herself as an artist and connecting/collaborating with other artists in Orlando and South Florida. This has all led to the conception of her first project, an EP entitled: “Purple Hues“, which is set for release on most music streaming sites this month. Her show always starts out with a very mellow vibe. Setting the mood by giving the crowd lots of soulful energy to create a genuine connection; and then sweeping them off to another dimension of high energy and dance. K aims to make every show an experience; making the crowd feel what she is feeling and vice versa. Her next show is January 22nd at SpeakEZ in Fort Lauderdale, and then on to the Sanford Music Festival.